If you have a Peugeot boxer based motorhome you probably find that when you swivel the front seat it catches on the handbrake. 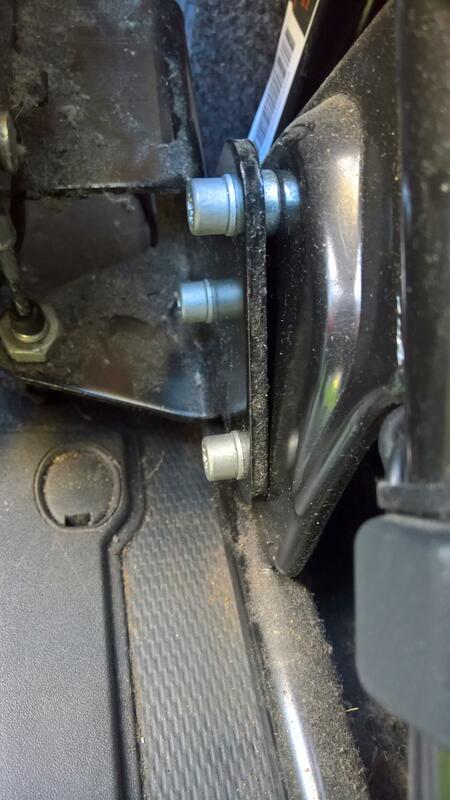 Can be a bit awkward to release the brake if you are on a slope or on ramps so I found a way (from the internet) how packing out the top fixing on the handbrake mounting fixes the problem. This angles the handbrake sufficiently to clear the corners of the seat when turning it around. The operation is unlikely to be effected as the cable is mounted on the same bracket.